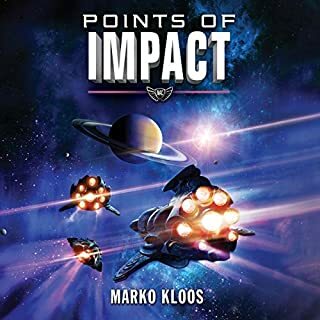 At the close of the 24th century, a series of revolutions has caused the galaxy to descend into chaos. 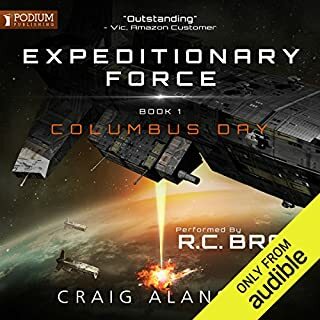 With the Galactic Union’s army stretched thin, mercenary units have arisen for those who have the need - and the means - to hire them. Captained by former Detached Guerrilla Forces Colonel R. A. "Rags" Cutter, the Cutter Force Initiative is one of the best. 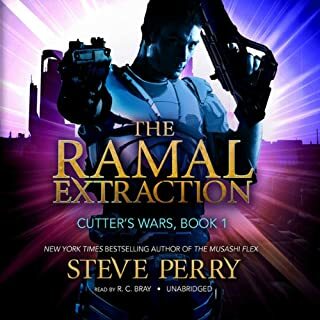 A specialized team consisting of both aliens and humans, the Cutters offer services ranging from combat training and protection to extraction and assassination - as long as the target deserves it and their employer makes good on payday. Very clever and engaging. 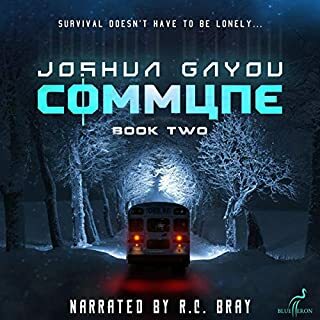 Yeah I only got because I'm a R. C. Bray fan, but story is really interesting. Most space opera's thave may Alien species, but really like the Vastalimi, Kay especially. But the but Rags whole team are fun to follow. Another great post apocalypse story. 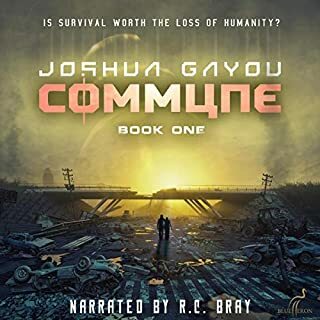 Narrated by R.C Bray it already a winner, Only this one has no Zombies or Monsters save for the ones we become once civilisation collapses and there's no more law but what we make for ourselves. You will laugh but you may also cry. Generic plot like some of the order Space Oprahs I listened to. But this stands out a little more by being one of the funniest books I've heard. Funny yeah, but still has great story driving this Barney truck. Only flaw I could warn you about is if you listening to in public you may not be able to stop yourself from laughing aloud. 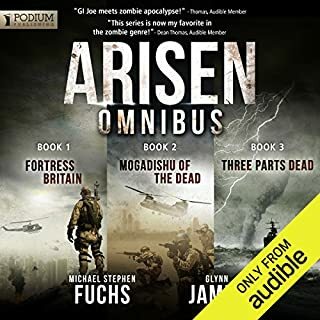 Arisen series simply a must for an wishlist. 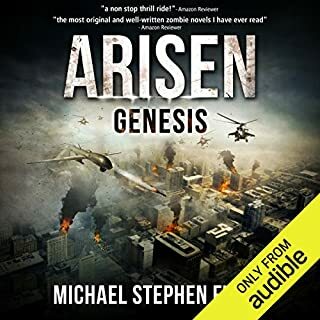 This review counts for the 12 books in the Arisen series I've listened to so far, including 0.5 and 8.5. As shame on me I've not been reviewing every book individually. Bought the first 3 book omnibus back in March 15/2018 witch is recommended as they are the 3 shortest. 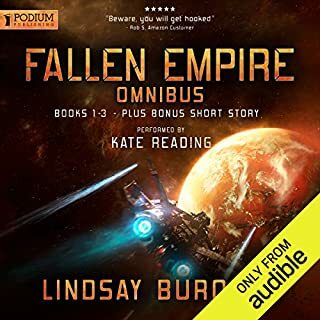 But series still going strong, well written and narrated. 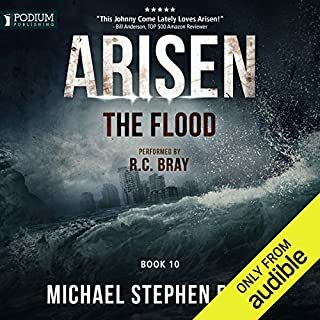 0.5 can be listened any time but strongly recommended you get to it along with 8.5 before book 10 The Flood. A Funkin great book, A Space Book if you will. 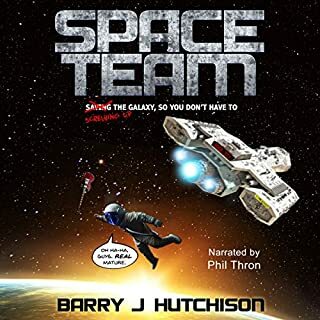 What other book might you compare Space Team to, and why? There definitely similarly space Oprah's out there. The plot really nothing new. But has more in common with Red Dwarf in the why the characters play of each other. Have you listened to any of Phil Thron’s other performances? How does this one compare? Afraid I haven't, but certainly will be looking up other performances he has done. It is a definite must if you like Space Oprah store and Comedy. Manages to tell a great story and yet no take itself to serious. It definitely knows how to stand out amongst a sea of other sci-fi books. Performance Luke Daniels is top notch as always, and the continuous story is still good. But feel the last books in Frontlines series have been dragging out the story without really advising the story very far. Wee still have no insight to the Lankies overall motivation or any back story to them.